As the new Congress is sworn in, the clock has run out for sitting lawmakers to sign on to the Congressional Review Act (CRA) resolution to reverse the FCC’s resoundingly unpopular repeal of net neutrality. But the fight to restore the free and open Internet is far from over. You can see which members of Congress stood up for the open Internet, and which ones sold out their constituents, at the BattleForTheNet.com congressional scoreboard. “We just shined a giant spotlight on corruption in Congress. Every single lawmaker who voted against the CRA in the Senate or failed to sign on to the discharge petition in the House has exposed themselves as industry puppets. They put the interests of telecom giants like Comcast and AT&T over the basic rights of their constituents. We used the CRA as a powerful tool to get lawmakers on the record. Pundits claimed it would never pass the Senate –– but we channeled Internet outrage into real political power and got more than enough votes. If House leadership had allowed a vote on the CRA, we likely would have won that too. Instead, we used a discharge petition to get a record number of lawmakers publicly in support of strong net neutrality protections. The CRA was a simple up or down vote on the free and open Internet. Now that the clock has run out, every single American knows exactly where their representatives stand. 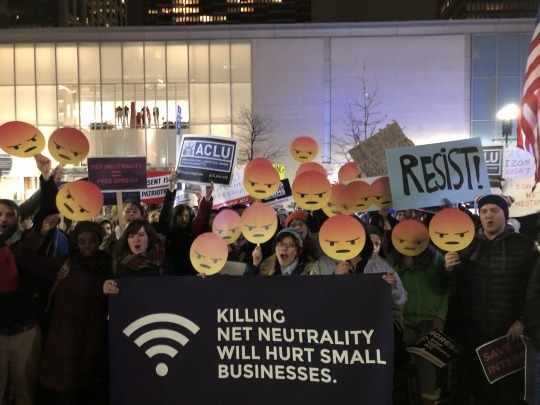 Dozens of anti-net neutrality members of Congress have already lost their jobs, and supporters of the open Internet will soon chair the key committees that provide oversight for the FCC. Ajit Pai won’t be laughing long when he has finally has to answer questions like why his agency lied to the media about a DDoS attack that never happened.